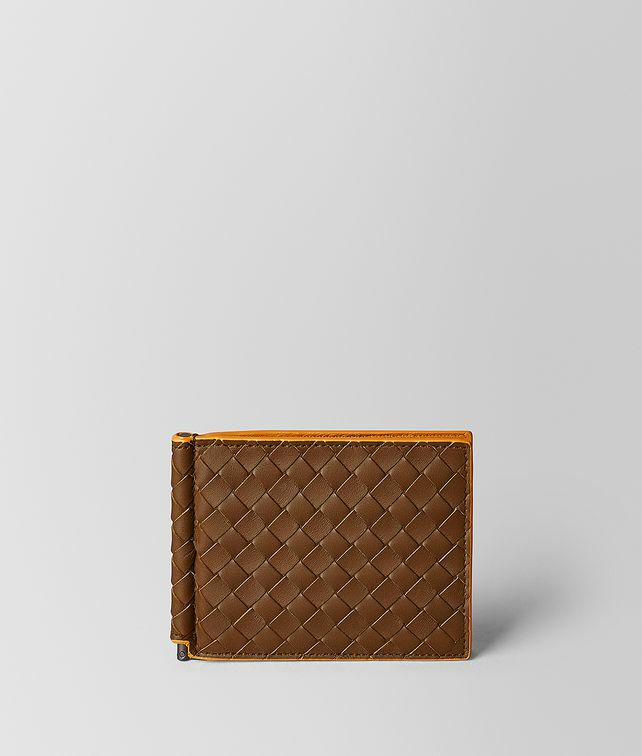 This slim bi-fold card case is hand-woven from durable calf leather. The interior is lined with smooth nappa in a contrasting color. Fitted inside with six credit card slots and a money clip.